The Society provided a team of 3 for the final of the Midlands Intermediate Cup held at Kenilworth on Saturday 16th March. 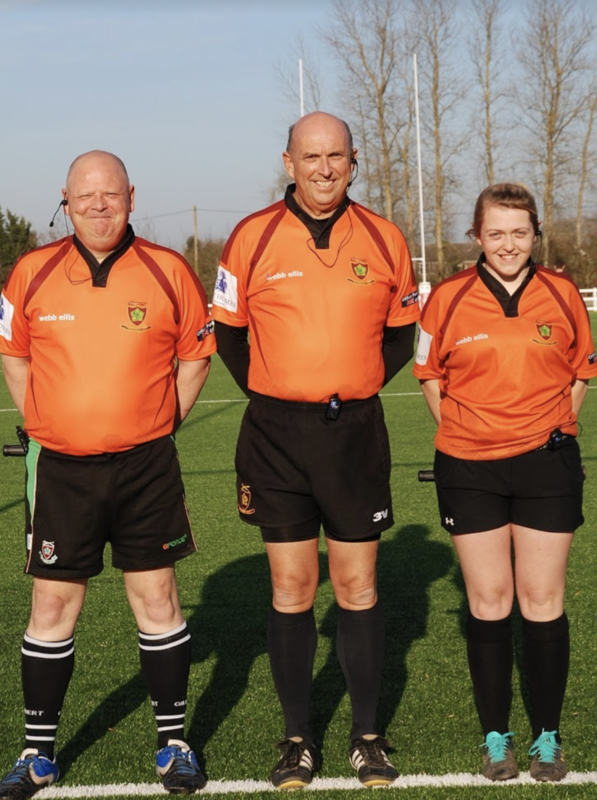 The game was played in very windy conditions with Kenilworth beating Kidderminster Carolians 15-10 with Warwickshire providing the 4th Official Emma Sly. It is great value with £35 for members, a 4 course meal followed by our speaker who this year is the England international Maggie Alphonsi. The Society provided a team of 3 on Sunday 24th February for the U16 match between Leicestershire and NLD which ended in a 31-31 draw.